Samuel Johnston, one of early North Carolina’s most durable politicians, served as governor during the debate over the ratification of the United States Constitution. Born in Scotland, Johnston came to North Carolina as an infant while his uncle, Gabriel Johnston, was serving as royal governor. The boy grew up on the family’s Poplar Spring plantation between New Bern and Wilmington and briefly attended what was then Yale College. Johnston settled in Edenton in 1753 and began a long career in law and politics. He was soon appointed clerk of the local trial court, and in 1759, he won a seat in the colonial assembly. Throughout his career, Johnston would be associated with the more conservative faction in North Carolina politics. During the Regulator rebellion, he sponsored the infamous Johnston Act, which permitted protestors, if they had not previously surrendered to authorities, to be shot on sight. Despite his conservatism, Johnston took an active role in opposing British tax polices before the American Revolution. A thorough-going aristocrat, he commanded the respect, if not the affection, of voters and fellow patriots. He served on the colony’s Committee of Correspondence and as a member of the First and Second Provincial Congresses. When Moderator John Harvey died in May 1775, Johnston presided over the third congress, functioning briefly as the virtual governor of the state. More radical revolutionaries defeated Johnston when he sought reelection in October 1776, and for the next decade, conservatives like Johnston, although never driven from state politics, were on the defensive. In 1779 he won a seat in the state senate, and he served in the Continental Congress from December 1780 until July 1781. After the war, Johnston divided his time between his Hayes plantation near Edenton and a successful law practice. Johnston and his fellow conservatives opposed paper money and generally took more nationalistic positions than federal leaders like Willie Jones. Conservatives tended to support the cession to Congress of remote western lands claimed by the states, and consistent with the Treaty of Paris of 1783, they favored relatively lenient treatment of Loyalists. 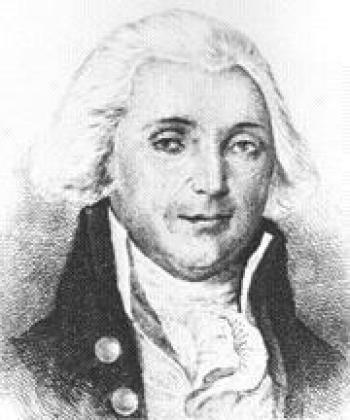 In the landmark case of Bayard v. Singleton (1787), Johnston and his brother-in-law, James Iredell, a future Supreme Court justice, represented a Loyalist suing to recovery family property confiscated by an act of the state legislature. In one of the first examples of judicial review in American history, Johnston and his co-counsel persuaded a North Carolina court to declare the confiscation act void because it violated the plaintiff’s right to a trial by jury, but they lost the lawsuit on other grounds. Admired for his ability and integrity, Johnston was elected governor by the assembly without opposition in December 1787. It was largely a ceremonial position, but he took office amid the debate over the ratification of the United States Constitution, and he soon found himself a leader of the Federalist minority that supported ratification. In July 1788, a convention met at Hillsborough to consider approval of the document. Anti-Federalists opposed to ratification had a clear majority and could safely agree to Governor Johnston’s unanimous election as the convention’s presiding officer. Anti-Federalists proposed amendments, including a bill of rights, that would limit the power of the new government. Johnston did not oppose a bill of rights, but he believed amendments could be made after ratification. Less than two weeks after winning a third term as governor, Johnston was elected to the U.S. Senate. Sparring occasionally with the emerging Democratic-Republican majority in the state legislature, he served until 1792. That year he later retired to a new plantation near Williamston, where he was a superior court judge from 1800 until 1813, when he finally retired from public service. Anna Withers Bair, “Samuel Johnston,” in William Powell, ed., Dictionary of North Carolina Biography, 6 vols. (Chapel Hill, 1979-1991), vol.3: 306-308; John C. Cavanaugh, Decision at Fayetteville: The North Carolina Ratification Convention and General Assembly of 1789 (Raleigh, 1989); Delbert H. Gilpatrick, Jeffersonian Democracy in North Carolina, 1789-1816 (New York, 1931); Michael Hill, ed., The Governors of North Carolina (Raleigh, 2007); William S. Price, Jr., “’There Ought to Be a Bill of Rights’: North Carolina Enters a New Nation,” in Patrick T. Conley and John P. Kaminski, eds., The Bill of Rights and the States: The Colonial and Revolutionary Origins of American Liberties (Madison, Wis., 1991).